I Will fight For a Permanent Solution To Apapa’s Traffic Gridlock- Hon. Ayodeji Joseph, Apapa Rep. Hon. 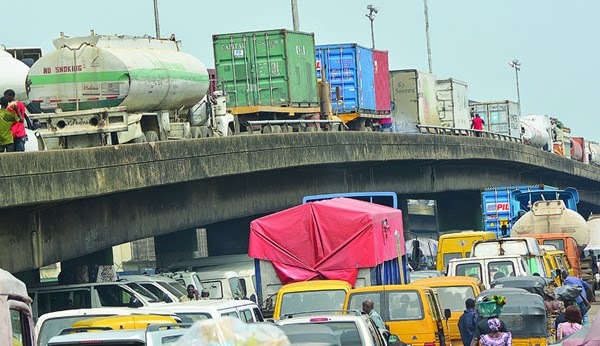 Ayodeji Joseph, the immediate past Chairman of Apapa Local Government and the current Member of the House of Representatives representing the Apapa Federal Constituency moved a motion yesterday on the floor of the House on the urgent need to devise a means to eliminate traffic gridlock on the road leading to Apapa port. Q : The motion you raised on the floor of the House, can you give us the rationale behind it? A : I think the motion is what the people of Apapa have been waiting for. If you ask anybody about Apapa, what first comes to mind is traffic as if we breed traffic there (laughs). So the perennial traffic gridlock that has taken a toll on the socio-economic well-being of the Apapa people and the need to permanently resolve it was the reason for the motion. Q. Why has it been difficult to tackle the gridlock despite interventions by the State Government? A. I don’t think it is what the State Government can tackle alone. When I was Local Government Chairman, I and the then Commissioner of Transport went to the port to intervene but the Commissioner was disrespected and told in clear terms it was a Federal responsibility. The State government has employed different strategies to ameliorate the situation but a permanent solution won’t come without Federal Government assistance. I think a permanent solution should be to devise a means of moving goods from Apapa instead of relying on all this containers and fuel tankers. All over the world, goods are moved by rail even petroleum products are moved by rail or pipes so why do we want to continue to use the old system of doing things and the Federal Govt will also be losing money because of the situation there. If you have good roads, better managed system, the turn around time for moving products will be shorter, more products will be moved and more money for the Government. But if we continue like this, my fear is that God forbid, the bridge might even collapse because you see this tanker drivers parking on it and you can imagine how much the Federal Govt will be losing if that should happen. Customs make close to N700b every year, NIMASA about $400m, NPA, not less than a billion naira annually. All these figures you can always get online so it’s not just me cooking up figures so you can imagine how the total break-down of this area is going to affect the Federal govt. We shouldn’t say Apapa is in Lagos and we should just neglect it. I believe now that there is new Federal govt that Lagos State is aligned with, things will change. Q. After the House resolution,what should the people of Apapa be expecting? A. Action has started with the resolution, it won’t just go to the Works Committee and i’ll say they are doing something about it, I must follow through, I must know what they are doing about it. There are also other things I believe the people of Apapa ought to be benefiting from the Federal Govt in the area of jobs. Our people ought to be employed to work with shipping companies bringing goods and others within the proximity of the ports. I will be working on a bill whereby the people of a particular area get a particular percentage of employment quota, I believe this is very important here in Apapa because we are being exploited and nothing is getting back to the people. So that’s part of what i’ll be here fighting for. Then all these containers going into the ports and falling off easily, I think we also need to tackle it. We have people driving articulated vehicles without going through proper training. I want to believe there should be special training schools for drivers of articulated vehicles and trucks. A license to drive a car should not mean you can just jump into a truck .So many lives are being lost daily due to negligence and Alcohol consumption by drivers. FRSC should do something in this regard which should include a random alcoholic test to curb this menace.